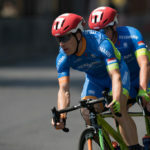 ELSDORF, GERMANY – MAY 20: Tim Kleinwaechter and Peter Renner competing on Day 2 of the International Cycling Days – Cologne Classic 2018 during the Road Races at the Street Race Track of Cologne Longerich on 20.5.2018 in Northrhine-Westfalia/Germany. ELSDORF, GERMANY – MAY 20: Tim Kleinwaechter and Peter Renner leading the field on Day 2 of the International Cycling Days – Cologne Classic 2018 during the Road Races at the Street Race Track of Cologne Longerich on 20.5.2017 in Northrhine-Westfalia/Germany. ELSDORF, GERMANY – MAY 20: Hans-Peter Durst competing on Day 2 of the International Cycling Days – Cologne Classic 2018 during the Road Races at the Street Race Track of Cologne Longerich on 20.5.2017 in Northrhine-Westfalia/Germany. 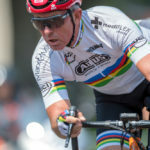 ELSDORF, GERMANY – MAY 20: Hans-Peter Durst flying around the corner with that special tri-bike technique on Day 2 of the International Cycling Days – Cologne Classic 2018 during the Road Races at the Street Race Track of Cologne Longerich on 20.5.2018 in Northrhine-Westfalia/Germany. 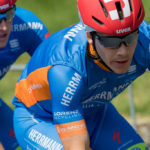 ELSDORF, GERMANY – MAY 20: Hans-Peter Durst competing on Day 2 of the International Cycling Days – Cologne Classic 2018 during the Road Races at the Street Race Track of Cologne Longerich on 20.5.2018 in Northrhine-Westfalia/Germany. 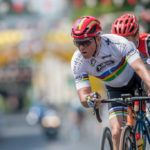 ELSDORF, GERMANY – MAY 20: Hans-Peter Durst (GER) passing the finish line on Day 2 of the International Cycling Days – Cologne Classic 2018 during the Road Races at the Street Race Track of Cologne Longerich on 20.5.2018 in Northrhine-Westfalia/Germany. ELSDORF, GERMANY – MAY 20: Hans-Peter Durst (GER) very relaxed passing the finish line on Day 2 of the International Cycling Days – Cologne Classic 2018 during the Road Races at the Street Race Track of Cologne Longerich on 20.5.2018 in Northrhine-Westfalia/Germany. 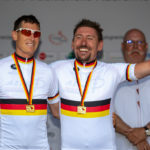 ELSDORF, GERMANY – MAY 20: German Champion Ralf Arnold and Alexander Obert on Day 2 of the International Cycling Days – Cologne Classic 2018 during the Road Races at the Street Race Track of Cologne Longerich on 20.5.2017 in Northrhine-Westfalia/Germany. ELSDORF, GERMANY – MAY 20: Friedrich Freytag, Hans-Peter Durst and Raphael Blaise (BEL) at the ceremonies Day 2 of the International Cycling Days – Cologne Classic 2018 during the Road Races at the Street Race Track of Cologne Longerich on 20.5.2017 in Northrhine-Westfalia/Germany. ELSDORF, GERMANY – MAY 20: Friedrich Freytag, Hans-Peter Durst, Jana Majunke and David Wiegmans at the ceremonies Day 2 of the International Cycling Days – Cologne Classic 2018 during the Road Races at the Street Race Track of Cologne Longerich on 20.5.2017 in Northrhine-Westfalia/Germany. 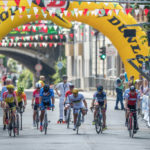 ELSDORF, GERMANY – MAY 20: Men’s race just started on Day 2 of the International Cycling Days – Cologne Classic 2018 during the Road Races at the Street Race Track of Cologne Longerich on 20.5.2018 in Northrhine-Westfalia/Germany. 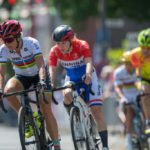 ELSDORF, GERMANY – MAY 20: Kerstin Brachtendorf leading the field on Day 2 of the International Cycling Days – Cologne Classic 2018 during the Road Races at the Street Race Track of Cologne Longerich on 20.5.2018 in Northrhine-Westfalia/Germany. 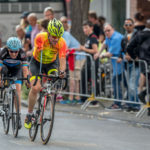 ELSDORF, GERMANY – MAY 20: Erich Winkler and Denise Schindler competing on Day 2 of the International Cycling Days – Cologne Classic 2018 during the Road Races at the Street Race Track of Cologne Longerich on 20.5.2018 in Northrhine-Westfalia/Germany. 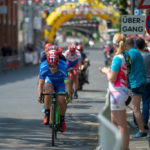 ELSDORF, GERMANY – MAY 20: Kerstin Brachtendorf, Michael Teuber, Pierre Senska, Erich Winkler and Denise Schindler wit enormous speed on Day 2 of the International Cycling Days – Cologne Classic 2018 during the Road Races at the Street Race Track of Cologne Longerich on 20.5.2018 in Northrhine-Westfalia/Germany. ELSDORF, GERMANY – MAY 20: Pierre Senska (GER) winning the german champion title on Day 2 of the International Cycling Days – Cologne Classic 2018 during the Road Races at the Street Race Track of Cologne Longerich on 20.5.2018 in Northrhine-Westfalia/Germany. 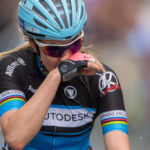 ELSDORF, GERMANY – MAY 20: Denise Schindler after passing the finish line on Day 2 of the International Cycling Days – Cologne Classic 2018 during the Road Races at the Street Race Track of Cologne Longerich on 20.5.2018 in Northrhine-Westfalia/Germany. 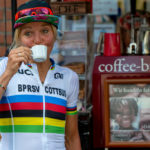 ELSDORF, GERMANY – MAY 20: Kerstin Brachtendorf enjoying an espresso on Day 2 of the International Cycling Days – Cologne Classic 2018 during the Road Races at the Street Race Track of Cologne Longerich on 20.5.2017 in Northrhine-Westfalia/Germany.